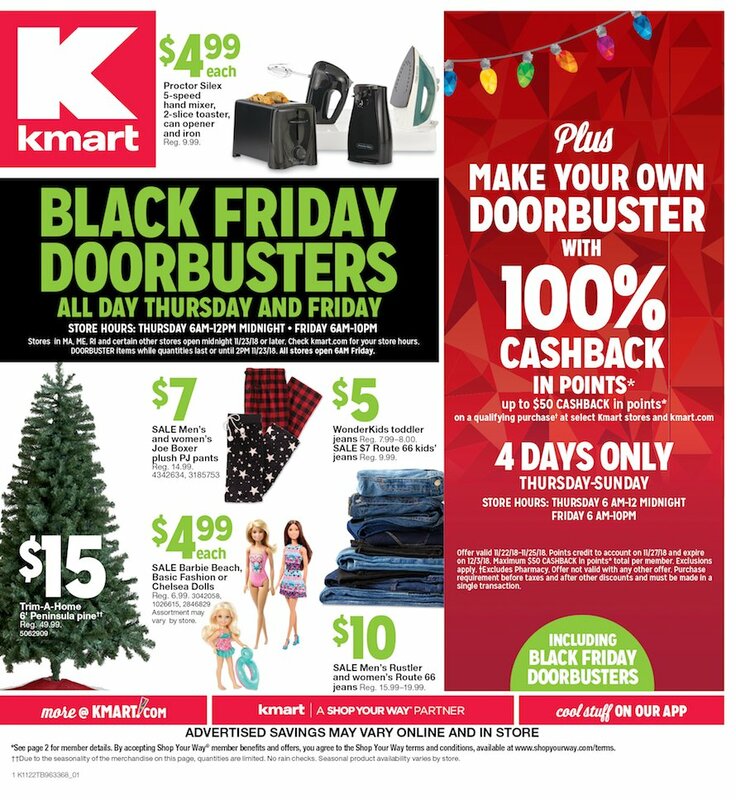 This Black Friday, Kmart isn't holding back on discounts. In fact, the Chapter 11 filing of its parent company, Sears, has given Kmart incentive to offer extreme deals. Look for big savings on its iconic in-house brands of Kenmore, Craftsman and DieHard. Appliance shoppers can also take advantage of discounted installation, repair and haul-away services. On Thanksgiving, most stores will be open 6pm until midnight. On Black Friday, stores will re-open at 6am and stay open through 10pm. The Black Friday deals in this catalog are in addition to the Kmart Toy Book that has 44 pages of top deals on kids’ toys.